Brad Pitt is two years into his divorce drama and custody battle with Angelina Jolie, but it hasn’t taken a toll on his looks. 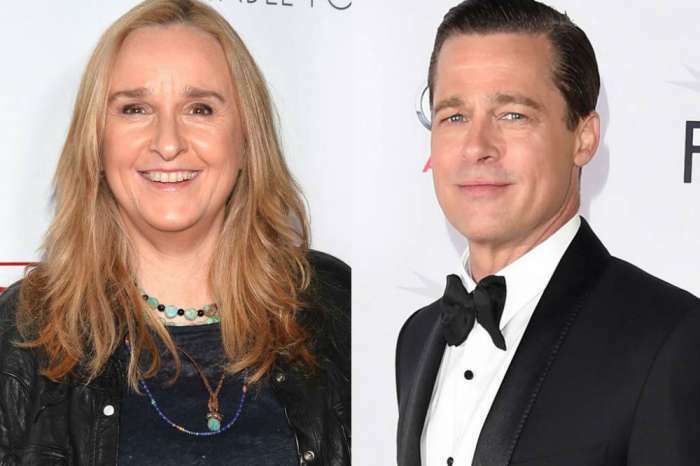 This week, cameras caught Pitt on the set of his new movie Once Upon A Time in Hollywood, and the 54-year-old had a youthful glow while dressed in a 1960s ensemble. The film is the latest from director and writer Quentin Tarantino, and it is a period piece about a television actor and stunt double who live in Hollywood during the 1969 Manson family murders. In the latest set pics, Pitt was wearing a tight black t-shirt tucked into retro white pants with a silver belt, and brown leather boots. In early August, Sony released promo pics of the movie showing Pitt standing next to his co-star Leonardo DiCaprio, with Pitt in all denim and DiCaprio in a mustard yellow turtleneck and brown pants. The movie also stars Margot Robbie as Sharon Tate, Dakota Fanning as Squeaky Fromme, and Damon Herriman will be playing the role of Charles Manson. Al Pacino and Burt Reynolds will also be part of the cast. 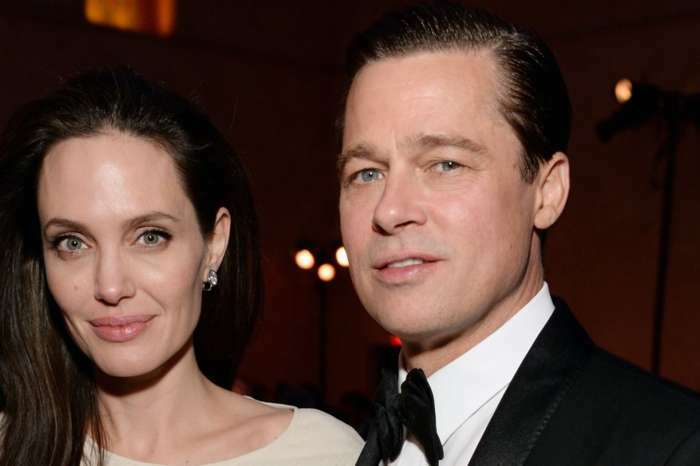 Outside of work, Pitt is still dealing with his highly-publicized divorce from Jolie, and she recently fired big-time divorce attorney Laura Wasser and hired Samantha Bley Dejean. Over the past month, things took a nasty turn when Jolie’s accused Pitt of being a “deadbeat dad” and claimed he had not honored their informal child support agreement. According to sources at The Blast, Jolie is “out for blood” in the divorce and wants to “embarrass and punish” her ex. 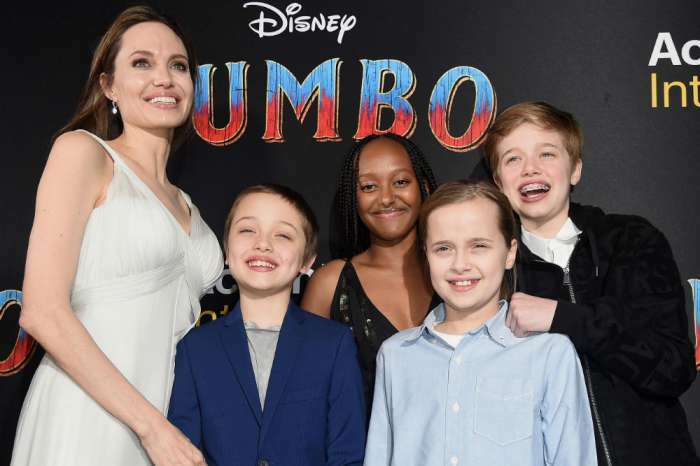 And, she fights with anyone who suggests that Pitt is a good father who deserves to share custody of their six children — Maddox, 16, Pax, 14, Zahara, 13, Shiloh, 12, Knox, 10, and Vivienne, 10. One of the reasons that Jolie changed lawyers was because Wasser is known for advocating settlements and co-parenting. But Bley DeJean is a fighter who is a champion for children. But Pitt has fought back and responded to the “deadbeat dad” accusations by revealing that over the past two years he had paid Angelina Jolie $1.3 million to help with the children, and he had also loaned her $8 million so she could buy a home. Brad Pitt and Jolie currently have an interim custody arrangement put in place by the judge in their case while a custody evaluation continues, which gathers information from both parents and the children. However, this divorce and custody battle is far from over. Once Upon A Time In Hollywood will be in theaters next summer.